* if you don't have corn stock on hand chicken broth will work also. 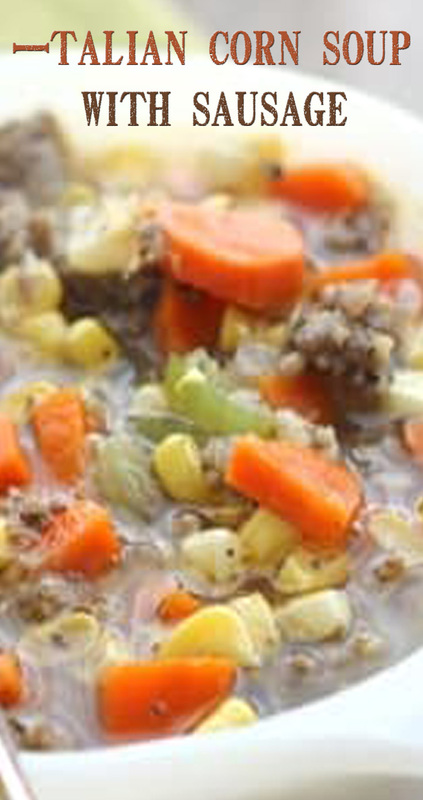 Don't forget to reduce the salt, if you use a store-bought chicken broth. Start with a teaspoon and add according to taste. In a large soup pot, over medium high heat, cook and crumble the sausage. Add the onions and saute for 2-3 minutes, until tender. Add all remaining ingredients. Bring to a boil and then reduce to a low simmer. Cook for about 15 minutes, or until the vegetables are tender. Enjoy!